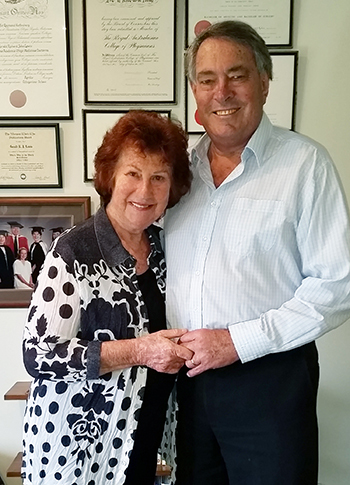 Dr Monica and Dr Gerald Lewis both graduated almost 50 years ago, and have seen many changes in medicine. Monica concentrated on general practice and wellness, rapidly realising that the training she received at medical school did not equip her to care for her patients completely, and took a great interest in a variety of holistic health solutions. Dr Gerald specialised in general medicine, cardiology and clinical pharmacology. Using the combination of all 3, he received his doctorate of medicine (MD) before moving into practice in both hospitals and private facilities around New Zealand. He too has widened his therapies by including nutritional medicine, intravenous vitamin C and chelation therapy, EECP and others. Both have written books on a number of conditions including heart disease, supplements and cancer, Dr Gerald has a website which is used by thousands around the world for medical advice, and gives online consultations and advice. is coming to a town near you. "Almost all men’s diseases are preventable and treatable, very simply. No weird diets, few if any drugs just knowledge of what they really should do.​"